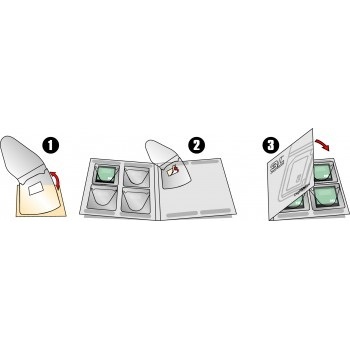 Attachable to virtually any kind of surface, these self-adhesive pockets keep out dust and dirt, and are perfect for storing, filing and presenting your valuable media whether it is a CD, DVD, Diskette, SIM or Memory Card. Store several CD/DVDs together without risking them falling out or getting scratched. 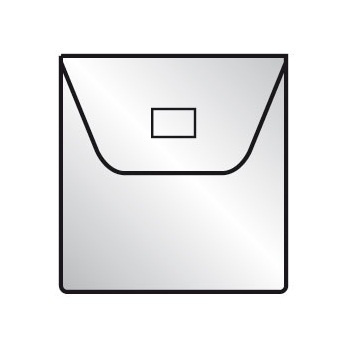 Ideal for storing and mailing CDs, forwarding catalogues on CD and software distribution. 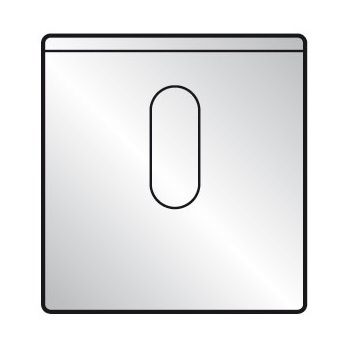 The CD/DVD Pocket with Finger Hole has almost unlimited user possibilities. 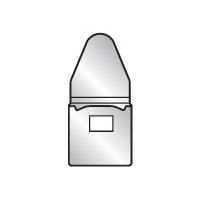 Attachable to any product or flat surface such as magazines, brochures and catalogues. Comes with a convenient vertical finger hole making the CD/DVD easy to remove. Provides extra surface protection for your CD/DVDs. 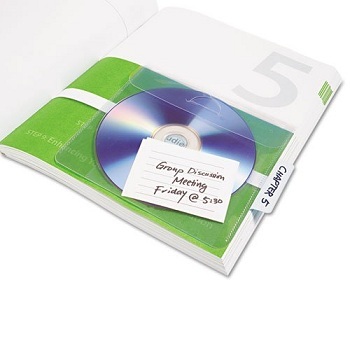 The non-woven inlay can also be used as a buffer between a CD and an instruction booklet. 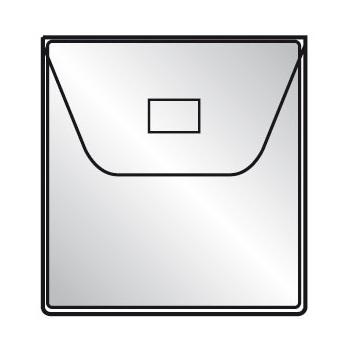 Attachable to virtually any kind of surface, these pockets keep out dust and dirt, and are perfect for both filing and mailing CD/DVDs. A safe, convenient way to keep virtually all types of memory cards, memory sticks and SIM cards. Protect your valuable media against dust and dirt, and find what you want easily and quickly using the included DigiWallet. 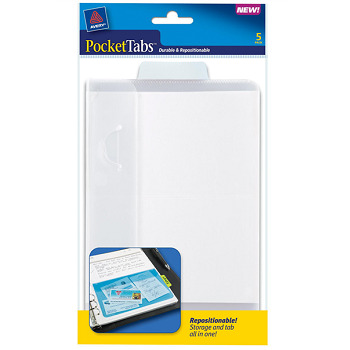 PocketTab™ adheres to page, pocket closes to store contents such as CDs, business cards, notes etc. Durable transparent, removable and repositionable pocket with tab - will not lift ink. Pack of 5 square pockets - Pastel Blue.